In order to become credible partners in the C-suite, chief financial officers are under significant pressure to gather and analyze data to minimize expenses and facilitate profits for sustainable growth. CFOs must ascend – from an operational-support role in financial fundamentals and compliance – to the role of a financial guide and strategic partner in the C-suite. Leveraging big data for strategy is one of eight steps for CFOs to earn CEO trust. Such a process can be challenging. The sources of big data come from within or outside the company, so it can derive from different channels. It must include education for the CFO in the investment of time and study with patience, which are necessary in working with data-analytics platforms. There are no proven lines of attack. However, there are ways for a CFO to develop a vision in order to maximize data-driven opportunities, and to achieve a partnership role in the C-Suite. The first step should be to incorporate the use of data analytics on a regular basis – collecting and analyzing. In this way, it’s possible to strategically develop short-term and long-term goals accompanied by key performance indicators. It’s important to identify and establish benchmarks to closely monitor trends for success in achieving the objectives. CFOs must seek input – consult their company’s information-technology professionals. IT pros are instrumental in sifting through the data, providing helpful insights and perspectives and drawing conclusions. Such collaboration will help in data governance to insure accuracy, trust and credibility. It’s also critical to get information and input from the employees who figuratively are where the tire meets the road. Whether such collaboration is or isn’t already practiced, this will guarantee data analytics is used regularly in reaching decisions, and will be helpful to evaluate the strengths and weaknesses of the data-gathering process and make any necessary course corrections. CFOs must evaluate their progress, which can be accomplished with test projects. Take baby steps. With input from your teams, initiate a pilot data-analytics project. – By demonstrating your new capabilities members of your C-suite will have confidence in your future proposals. Good luck! You’ll do a great job. Issues to Consider Before You Buy Business Analytics — If you’re the company’s chief information officer screening the sales pitches for business analytics, take a long look and ask the right questions for your company’s welfare. You have to collaborate and make the chief financial officer happy. 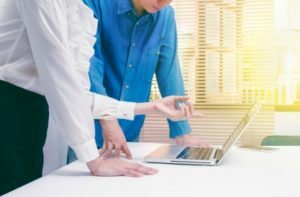 Financial Management – 6 Keys for Best ROI on IT Projects — In financial planning, there six steps you can take to solve the mystery surrounding information technology projects – how to assess and prioritize for an excellent return on your investment. Best Practices for CFOs to Stay Current in Technology — Just as every professional knows, CFOs also find it increasingly challenging to stay up-to-date on technology. Up-to-date technology means CFOs can better do their jobs. Here’s how. For Profits, CIOs Must Agree with CEOs on 5 Issues — Despite the increasing importance of information technology, many companies are losing profit potential from a lack of productive discussions about achieving strategic goals using technology initiatives. Strategic Challenges — What’s a CFO to Do about Sustainable Growth? — Sustainable growth ranks as global companies’ No. 1 strategic challenge, and chief financial officers will be playing a major role, says a study.